A report from Smart Growth America linked sprawling cities to poor health and constrained economic opportunity. Urban sprawl plagues many American cities, but the problem doesn’t just translate into more time stuck in traffic – it could mean a shorter, less prosperous life. Residents of cities not suffering from sprawl live, on average, three years longer and benefit from more economic opportunities than their counterparts residing in sprawling areas, according to a report released by Smart Growth America. Sprawling cities are defined as those with low population densities, where residents generally have longer commute times for work or day-to-day activities. Compact cities are denser, with shorter commute times and less reliance on automobiles. Researchers for Smart Growth America, which advocates for smart development in our nation’s cities, came to their conclusions by looking at numerous data points on life expectancy and economic mobility, mostly from the U.S. Census department. The study looked at 221 metropolitan areas with a population of at least 200,000 people. To calculate sprawl, Smart Growth America considered four factors: the density of houses compared to jobs, the ratio of residential to commercial buildings, the concentration of residential and commercial developments in downtown or other “activity” areas and the accessibility of streets, including block length and the number of four-way intersections. “How we develop has a huge connection to how healthy we are in our communities,” Ilana Preuss, Smart Growth’s chief of staff, told CNNMoney. However, she pointed out simply because sprawl is related to negative conditions, does not mean sprawl necessarily causes them. Researchers noted that land prices, development policies and geography are all major factors when it comes to sprawl. During a conference call associated with the report, researchers noted that cities with less sprawl, such as Los Angeles and Trenton, N.J., have policies in place to encourage dense development and walkablilty, according to CNNMoney. Transportation is another important factor in sprawl, specifically its cost. Researchers gave the example of sprawling Tampa, Fla. Residents there typically spend 56 percent of their budget on housing and transportation, whereas a resident of more compact Seattle will only spend 48 percent on the same elements, CNNMoney reports. One way sprawling cities can mitigate the transportation problem is through car share programs, where commuters rent a car for a limited amount of time, and leave the vehicle where another group of commuters can pick it up. According to The Atlantic, car shares have worked best in dense areas, but some suburban areas are seeing successes. CarLink, a Palo Alto-area pilot project launched in 2002, worked in conjunction with public transit train schedules to decrease the number of vehicle miles traveled by commuters. The project demonstrated that a private ride-share partnering with a public transit agency creates a win-win situation for both parties – transit agencies put some money down with the expectation of gaining habitual riders, and car shares can break into the suburban market. And the idea is spreading. The Atlantic reports Portland, Ore.’s, TriMet rail recently partnered with Zipcar, a private car-sharing service. The success of that partnership has yet to be seen, but both parties remain optimistic. 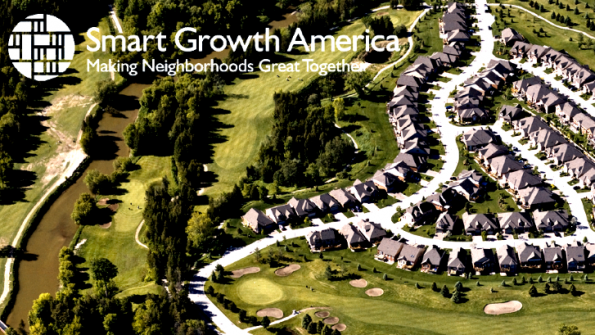 To learn more or see how much your city sprawls, download a .PDF of the full Smart Growth America report here. To classify Detroit, MI as one of the most compact cities just illustrates that with enough manipulation, you can “prove” just about anything. Did the researchers even look at a current map of Detroit? This is not to bash Detroit, its just not compact! As a matter of opinion, it’s ripe for development due to all the open land and still relatively soft vacancy rate of central core buildings. However, efforts of the likes of Mr. Gilbert , GM and Fiat/ Chrysler are steadily working to improve the vibrancy and occupancy of the city. THERE ARE OBVIOUS ECONOMIC BENEFITS TO THE PRODUCTION OF THEIR GOODS IN CHINA OR ASIA, BUT SHOULD ALSO BE WELL AWARE OF THE QUALITY ISSUES THAT MAY ARISE. ALTHOUGH THE RACISM OF THE PAST ON SHODDY GOODS PRODUCED IN CHINA OR ASIA WERE MORE AMERICAN PROPAGANDA HARD FACTS.